I joined the Dixie Archaeological Society and took (and am still taking) Kat and Boma Johnson’s Archaeology class offered through Dixie State University. They’ve shown me that in Utah and the Four Corners area, there are ancient cities to visit, rock art, national and state parks and monuments to see, and an abundance of museums to tour and books to read. Now whenever I travel away from home, I research to find out if there are rock art sites or dwelling sites in the area I’m going to visit. Here in the West, I am rarely disappointed. A fascinating new world opened up for me and the avenue into it is what is commonly called “rock art.” By rock art, I mean petroglyphs and pictographs left by the ancient people in the area. 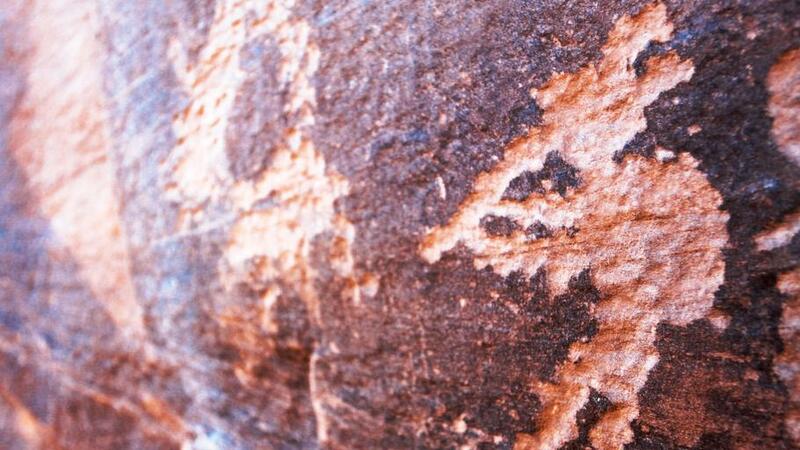 Petroglyphs are pecked into the rock’s surface, whereas pictographs are painted onto the rock surface. 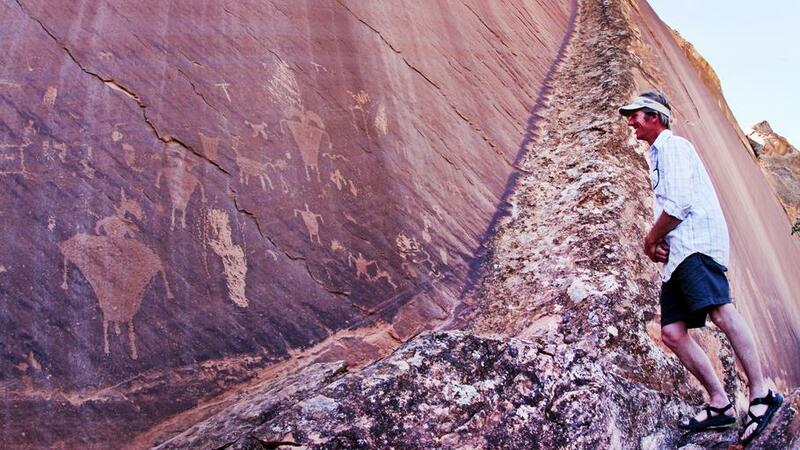 There are some who pretend that rock art was left by ancient aliens: not so! We know from the ancient people’s descendants, present time Pueblo Indians and other Indian groups/indigenous people who are still in the area, that this is not true. 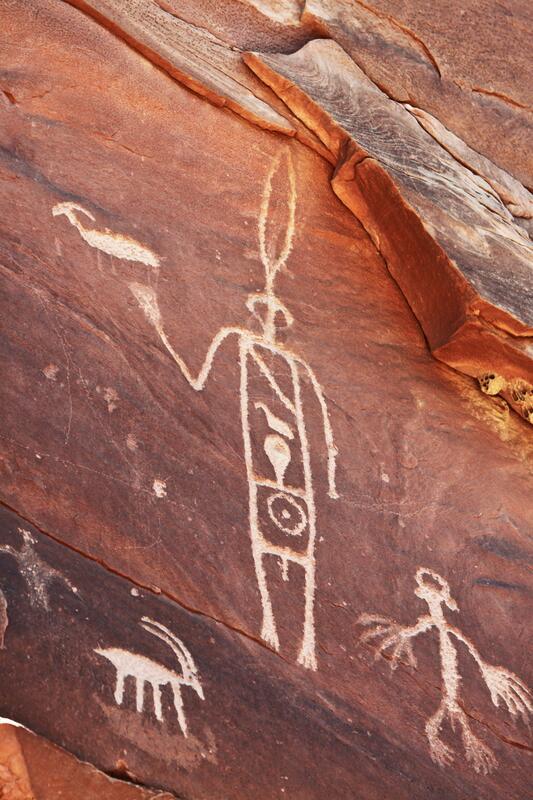 Although we can’t “read” the rock art (it’s not an actual written language), many indigenous people understand and can interpret the symbols and how they were meant to be used. It seems that the study of these ancient peoples is in its infancy, but much has been learned. If you are interested in finding out more about the ancient Puebloans (Anasazi), read some of Steve Lekson’s writings, an archaeologist and teacher from Colorado. These sites are fragile and protected by law no matter where they are! They are hundreds of years old and have existed through all conditions for a very long time. However, they won’t last for long if you stand on them, chalk them to get a better photograph, take something from the ground, paint them with graffiti, or trace them with your fingers and leave your body oil on them. 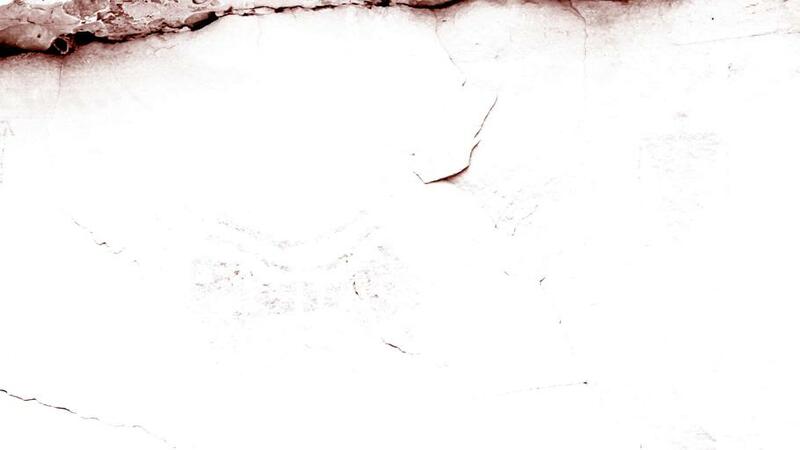 Look long and hard, but leave no trace of your visit and take nothing but photos from the sites. Keep in mind that many of the sites are considered to be sacred, so show some respect for the ancient people who left whatever you may find for the rest of us to enjoy and ponder. In 1906, Pres Theodore Roosevelt wrote the Antiquities Act to protect these sites; in 1979 ARPA (Archaeological Resources Protection Act) was passed to further enhance these protections and codify penalties that can go up to felony charges for violations. In 1990, NAGPRA (Native American Graves Protection and Repatriation Act) was enacted to further protect the sites and return all items “taken” to the indigenous people to whom they belong. Near the junction of I-70 and I-15: Fremont Indian State Park and Museum. This is a good place to start! Lots of information, self guiding walks, and signage to help you understand what you are seeing. Parowan area: Parowan Gap. Much has been written about the Gap, so do a little reading before you go so that you understand a bit of what you are seeing. St George area: Anasazi Ridge at Santa Clara Reserve; indicative of Virgin Anasazi occupation. Limited signage here. There are so many sites in and around St George that it is impossible to list them all. Keep your eyes open when you are hiking or biking and you may be surprised to find something on your own. Price/Wellington area: Nine Mile Canyon. Check in at the Visitor Center in Price for information and maps about the area because this rock art is mostly on private property. Go all the way to the end of the pavement to see the “Hunter Panel.” If you are interested in a backcountry adventure, check out Range Creek in the Book Cliffs. This trip requires permits so must be researched and signed up in advance for available dates through the University of Utah Natural History Museum. Moab area and Newspaper Rock: There are so many sites here, they can’t be listed. If you are going to Moab, be sure to select some sites to visit before you go. If you are in a hurry, be sure to at least see the panel at the Golf Course. Vernal/Jensen area: Dinosaur National Monument and McConkie Site in Dry Fork Canyon. Stop in at the Visitor Center to get a map and self guided tour of the rock art sites. The McConkie Ranch site is on private property and a donation for maintenance is requested. 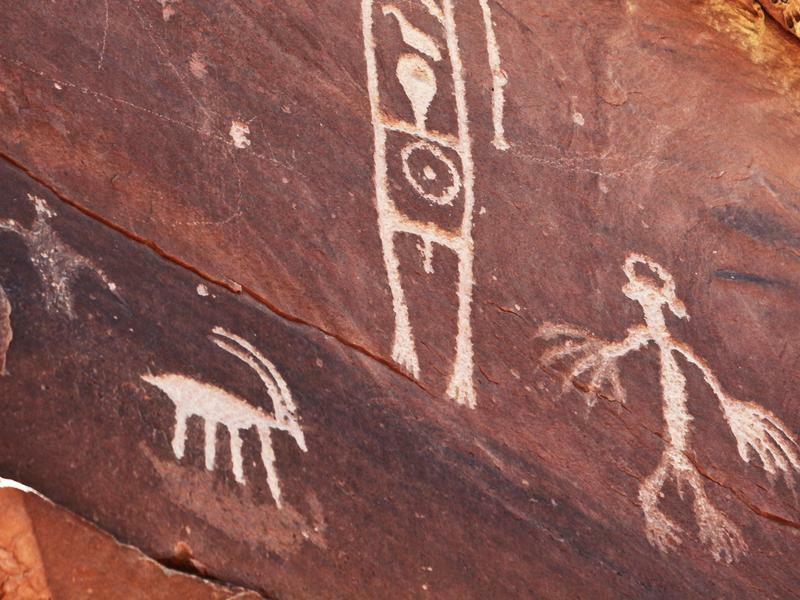 These petroglyphs are stylistically very different from the sites in Southern Utah as they are thought to be Fremont. Four Corners area: again, the sites are too numerous to list. Advance research is recommended. This is where Hovenweep National Monument, Edge of the Cedars National Monument, Butler Wash, Comb Wash, and others are to be found. So much to see and do! Where to begin? 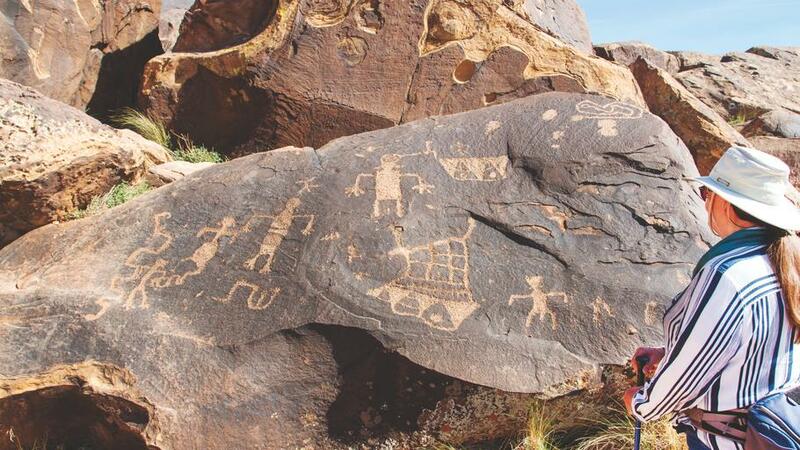 Guide to Utah’s Publicly Accessible Rock Art Sites, by Troy Scotter, Utah Rock Art Research Association. Bureau of Land Management Field Offices in locale you are visiting for maps, books, advice about road conditions, etc.